This post reviews Veestro’s plant based meal service along with a simple recipe for grilled baby bok choy inspired by and served alongside Veestro’s soba noodles with peanut sauce meal. I’m really excited to share this post with you guys today. I think we’ve all tried a meal delivery service at some point, I mean how could you not with the sheer number of them out there?! 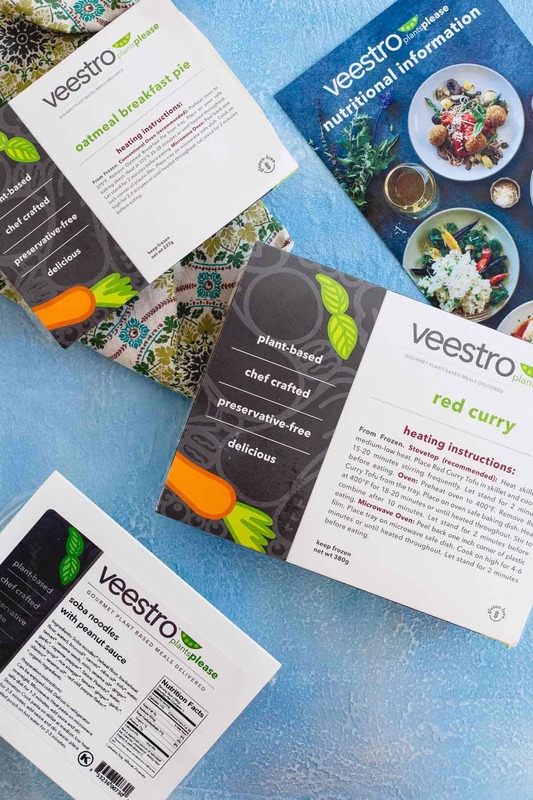 Just recently, I was given the opportunity to try out Veestro, a plant based meal delivery service, but wait for it…with meals that are already pre-cooked. Yes, you heard that right! No opening small packets with 1 clove of garlic in them, reading instructions that could double as a novel and unpacking 15 different components all just so you can cook dinner at home. Let’s be real, those don’t really save that much time. If I need to save time, like actually save time when it comes to dinner, I want something where all I have to do is heat the food up and that’s exactly what Veestro delivers. As I mentioned, Veestro is a plant-based meal delivery service. The meals arrive frozen, packed in dry ice and all you have to do when they arrive is store in the freezer until you’re ready to eat them. Their website has a huge variety of meals, everything from breakfast, entrees, soups, dessert and even juices. You can select meals a la carte or choose one of their meal packs with options like the “starter pack”, “protein pack”, “gluten-free pack”, there’s even a “wedding prep pack”! among others. I was sent the 21-day kickstart pack 2 which includes 42 meals and 6 juices. Thankfully, we have a chest freezer in the basement because it’s a lot of food! -All the nutritional information for each meal is on the package and easily found online. As someone who tracks macros, this is insanely helpful and a big pet peeve of mine when other services don’t provide that! -Every single meal I’ve tried so far has legitimately tasted good. The flavors, spices, sauces, etc. are all spot on. -All the meals are organic, non-GMO and come in 100% compostable cardboard trays and recyclable BPA-free plastic pouches. -The protein amount for most meals in the kickstart 2 package seems to average around 12g. I’m someone that normally eats 5-6 meals a day and averages around 20g of protein per meal. Most of the meals lend themselves to alterations very easily so I chose to add some additional tofu or another protein source when I felt like I needed a little more staying power. That said, the Veestro Protein Pack option might be a better fit and solve this issue for me! -Portion size was a little on the smaller side for me. I like to feel like I’m eating A LOT of food when I eat meals and eating obscene amounts of vegetables is usually how I make that happen. To remedy this, I chose to add some easy side dishes quite a bit. A side of vegetables (like this simple grilled baby bok choy – recipe below) to some of the meals was perfect in helping me feel satisfied after eating. I though the best way to portray the deliciousness of Veestro was to go through a day of meals so you can see firsthand why I really like this service. I decided to feature three of my favorites: oatmeal breakfast pie, soba noodles with peanut sauce and red curry with tofu. Imagine sweet potato pie meets s’mores meets oatmeal bake because that’s what this meal reminds me of. 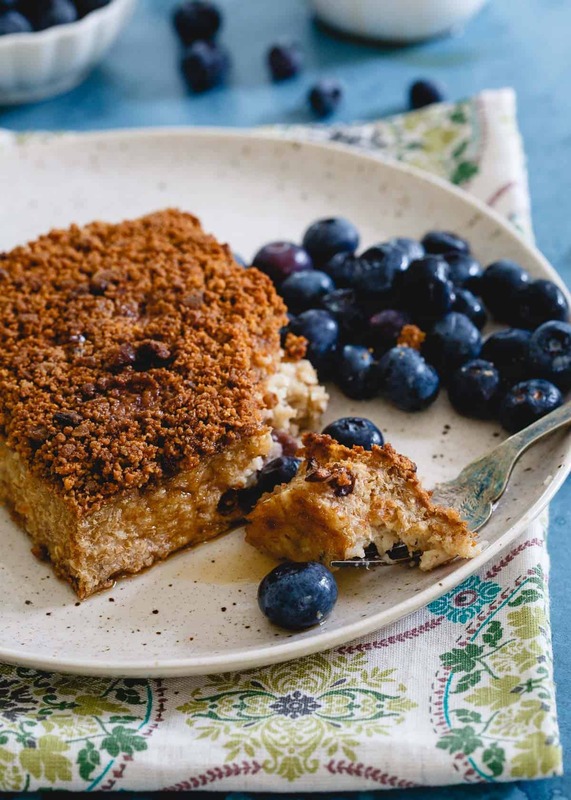 It’s a perfect balance of savory + sweet with a sweet potato/oatmeal flavor, soft consistency in the middle and a crunchy graham cracker crust topping. It almost feels like eating dessert for breakfast. 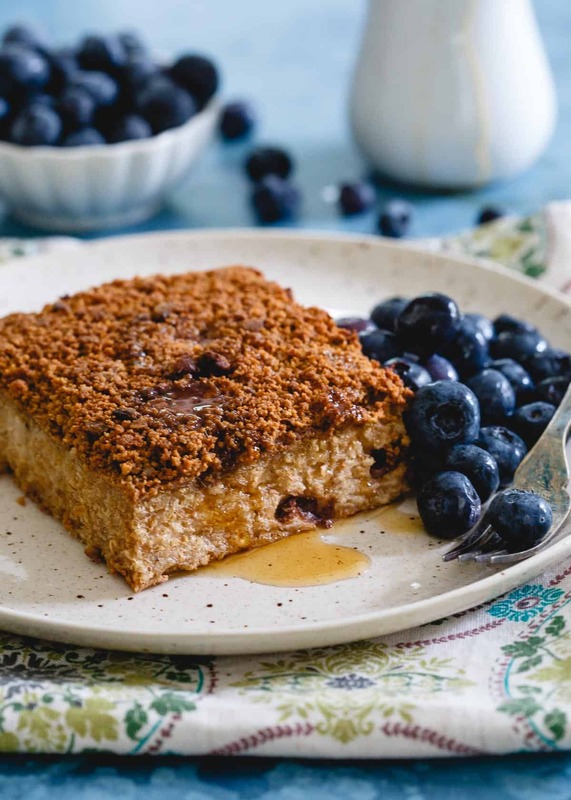 Tip: drizzle some warm maple syrup on top and serve with fresh berries. If you eat dairy, plain Greek yogurt is a great accompaniment for some extra protein. I love Asian inspired noodle dishes and this one is just that. 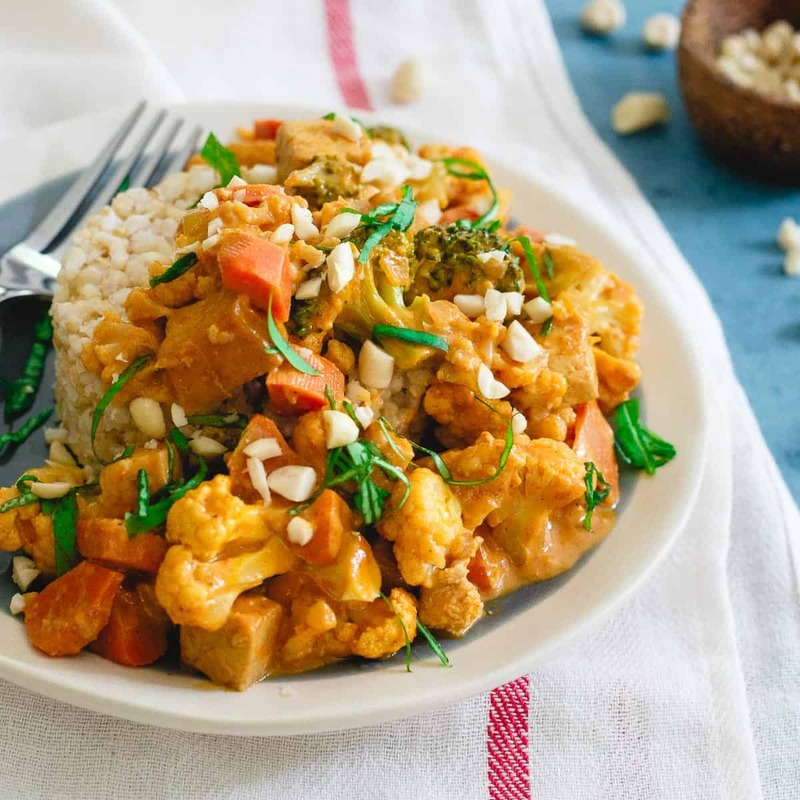 The peanut sauce is just the right balance of savory and sweet and incredibly flavorful, it pretty much makes the dish. 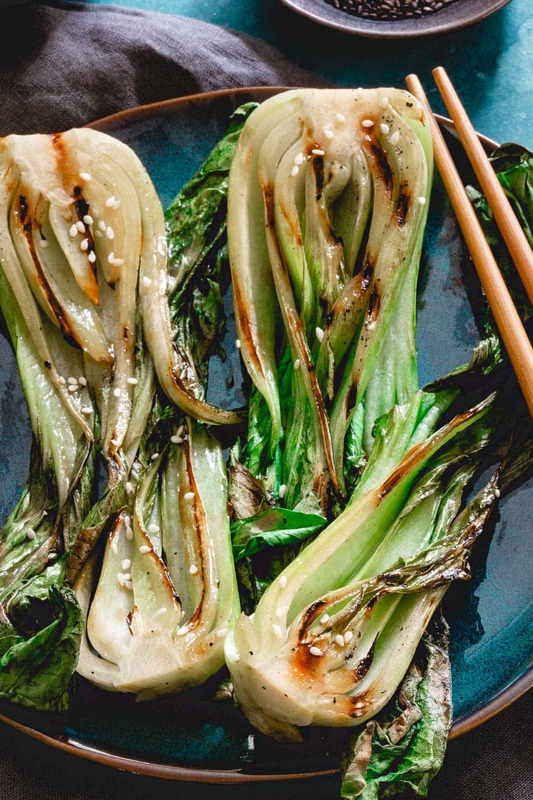 Tip: serve with the grilled baby bok choy recipe below and garnish with some sesame seeds to round out this meal. The noodles are great hot or cold. I really like this meal, the curry sauce is outrageously delicious and aromatic. It’s also an easy one to customize a bit if you want to by adding to it as there’s plenty of sauce. There’s a bit more rice than curry too, I like to save half of the rice for another meal. Tip: bulk this meal up by adding extra cauliflower or broccoli florets to the pan while heating up. Garnish with fresh basil or cilantro and some crushed peanuts to pull all those flavors together! Most of the time, I’d quickly roast (convection roast is the best thing ever) a tray of vegetables but sometimes I’d get creative and actually try to make something that went along with the vibe of the dish I was eating, like this simple grilled baby bok choy. I love the idea of bok choy but I’ll admit, I’m usually not the best at the execution with the end result being a watery saute with some garlic pieces floating around. An exception to that is this pineapple cashew bok choy side dish, love that recipe for it’s sweetness and texture! I love eating it raw too like in this bok choy salad with sesame soy sauce. Such a crunchy and delicious salad! I decided to grill the bok choy this time around and it might just have become my favorite way to eat this vegetable now. 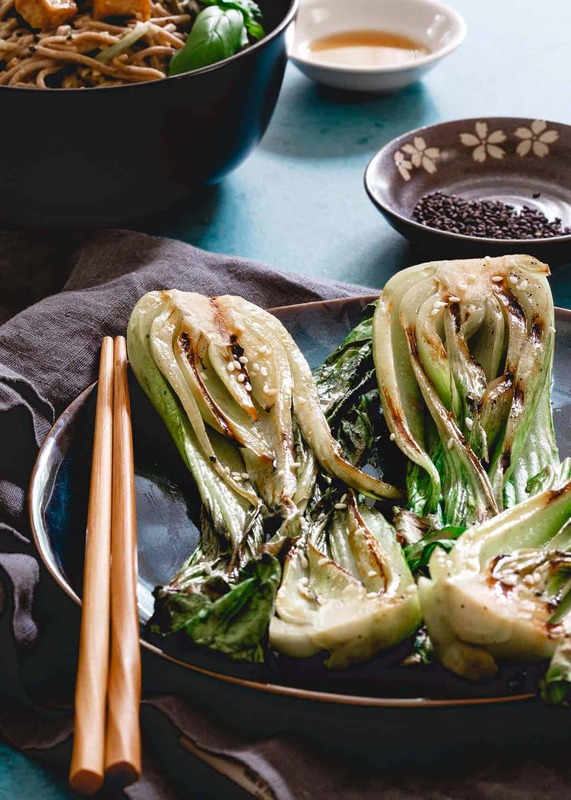 A quick mixture consisting of sweet Thai chili sauce, soy sauce, rice vinegar and sesame oil is brushed on while the bok choy quickly grills and the result is a slightly charred, still crunchy vegetable with tons of flavor. It perfectly complemented the soba noodles with peanut sauce and was a great way to add some volume to that meal. I’ll be back with a giveaway of Veestro in a couple of weeks which you’ll definitely want to enter but until then, you can use the code “KITCHEN20” for 20% off your first order! Love this grilled baby bok choy recipe? Check out this kimchi potato hash with another review of some other Veestro meals! 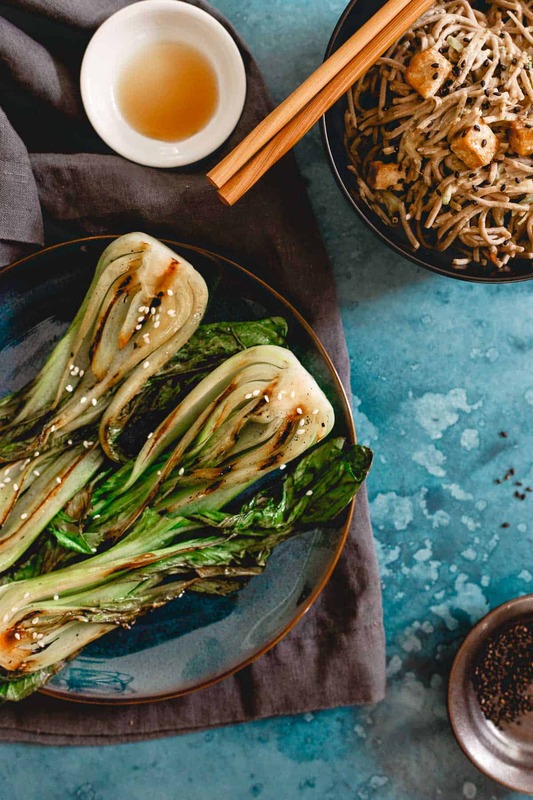 This grilled baby bok choy is a simple Asian inspired side dish great with a bowl of noodles, a plate of curry or any other Asian flavored meal. Slice the bok choy in half lengthwise. Whisk together the remaining ingredients in a small bowl and lightly brush on both sides of the bok choy. Place bok choy cut side down on a preheated outdoor grill or indoor grill pan. Grill for 1-2 minutes until leaves start to wilt and char marks appear on the side face down. Flip, brush with more of the sauce and grill on the other side for another 1-2 minutes. Remove from grill, brush on any remaining sauce and serve immediately. 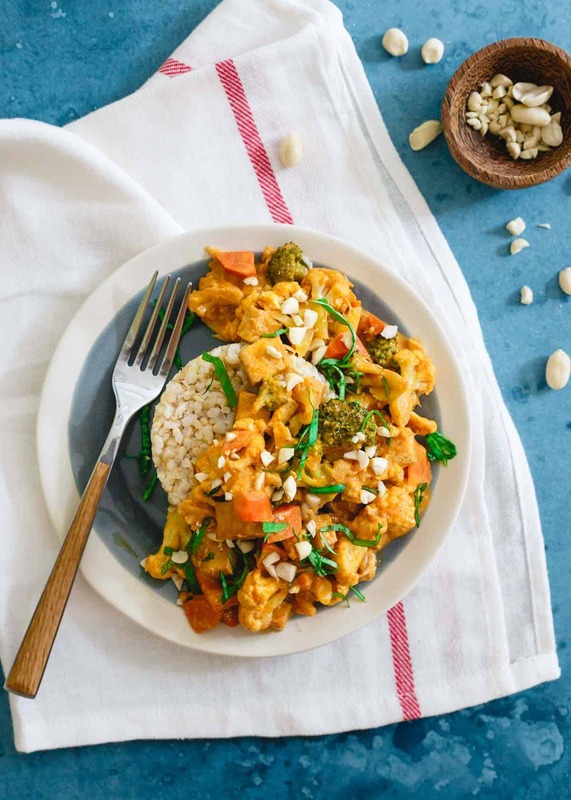 So happy to see there’s a plant based meal delivery service. This looks amazing! Love the sweet thai chili sauce in this!! 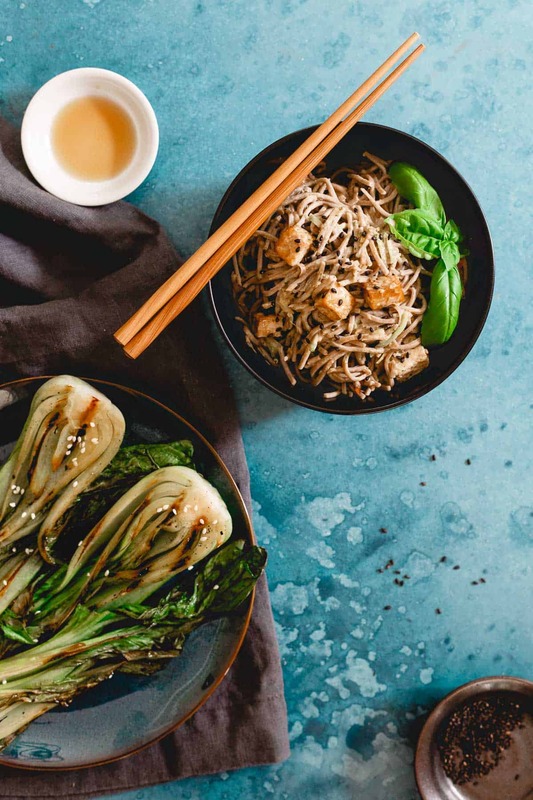 Love this flavorful, easy baby bok choy recipe Gina! It;s still grilling season here too! Love the idea of grilling the bok choy! Definitely trying this one! Baby got BOK! LOL i just went there. OMG. Yes, this looks awesome, per usual. Love grilling bok choy! I love the sound of this service! I definitely am not a big fan of all the wasteful packaging some of the other companies have. Yum! Love bok choy! This looks so delicious! And this service sounds so cool. Love not wasting packaging! I LOVE that Veestro is plant based! I would love to try it out — especially the baby bok choy recipe!